Runde Environmental Centre is open for accommodation, seminar- and conferences and guided tours by appointment throughout the whole year. Open every day during the summer season. Opening hours: every day from 11 am to 5 pm. Out in the jaws of the ocean in Herøy Municipality lies the bird island of Runde. The bird cliffs are the southernmost in Norway and have the widest variety of seabirds species in Scandinavia.The little island has about 150 permanent inhabitants, but during the nesting season from February to August every year more than 500,000 sea birds take over the island. Around 100,000 pairs of puffins nest here, but large colonies of great skuas, gannets and shags also establish themselves here in the nesting season. 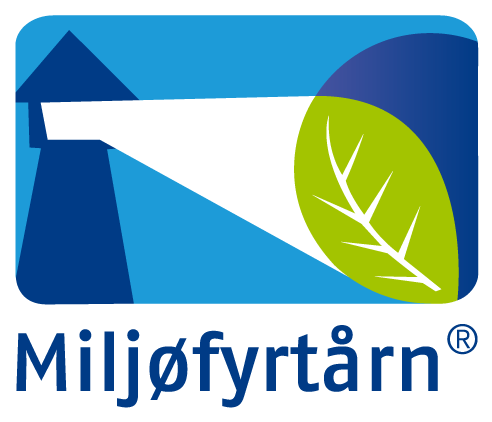 The nature areas on Runde are vulnerable, important and interesting for research. Runde has also been called "Treasure Island" because of the finds of gold coins from the wrecked Dutch ship "Akerendam" from 1725. The area is also well suited for activities within diving, fishing and hiking. We recommend you to try one of our local dishes in the café and see the exhibition before you hike up to the nesting cliffs. Both will provide the nutrition you need to get even more out of the trip to the nesting cliffs. 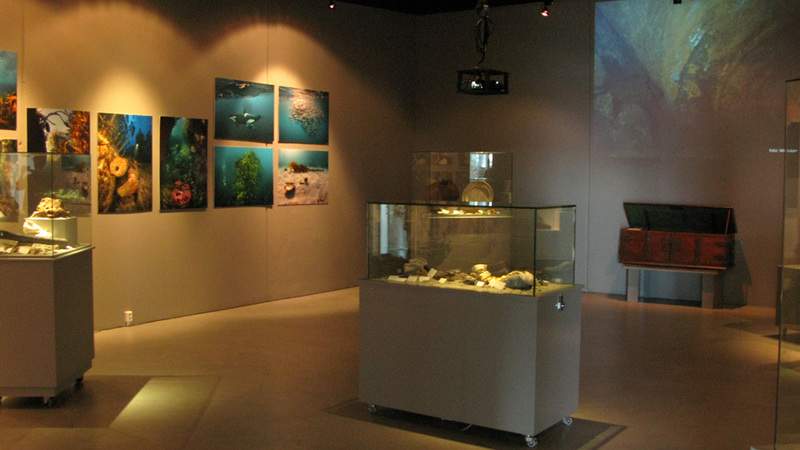 The exhibition focuses on the environment, climate, the nature on the island and local history. There is a dedicated exhibition about the the wrecked Dutch ship "Akerendam" from 1725. The exhibition focuses on the environment, climate and the nature at Runde. In the café you can we offer small meals, sandwiches, coffe and cakes. The food we provide is always home cooked and often inspired by the ocean. We also strive to use local and ecological ingredients. 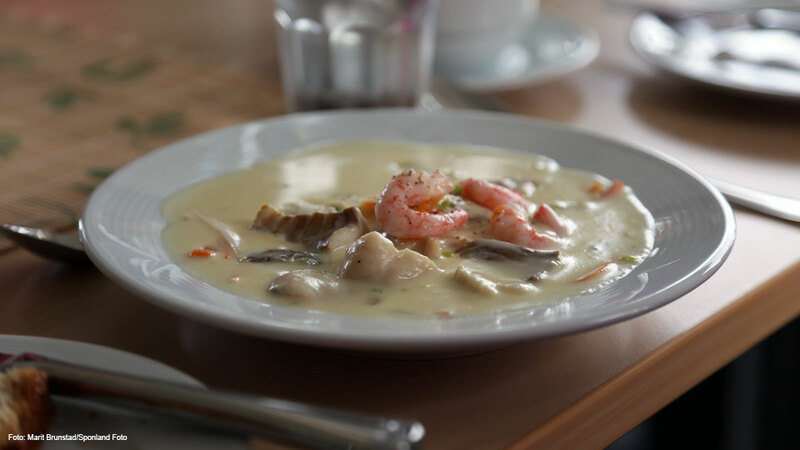 The local fish soup is often on the menu. Seson: daily from June 10th juli to August 20. At. 11:30, 2:00 and 4:30. The sightseeing tour takes approx. 2 hours. Departure three times during the day. Tours can be cancelled depending on the weather. Explore the nesting cliffs by boat. Stop by the café for a cup of coffe and a map to the nesting cliffs. A tour through the exhibition might also be useful before visiting the cliffs by yourselves. Purchase tickets online and plan your trip to Runde. From Ålesund you can go by boat to Hareid and then by bus to Runde. 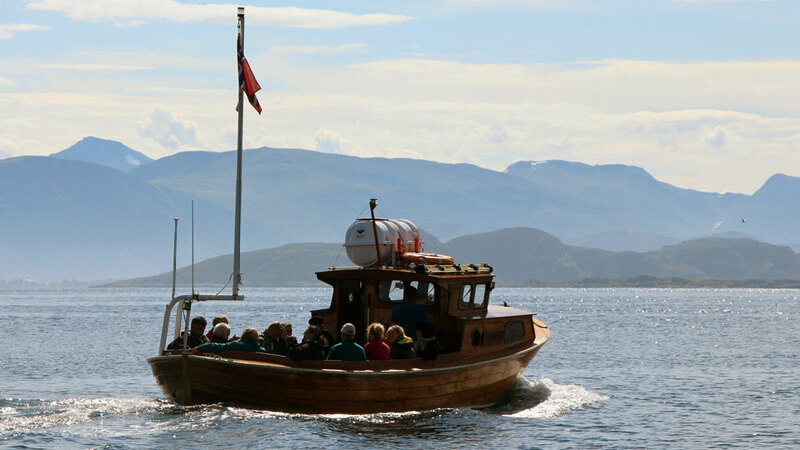 Spend the day at Runde and be back in Ålesund in the evening. Purchase your roundtrip ticket here.